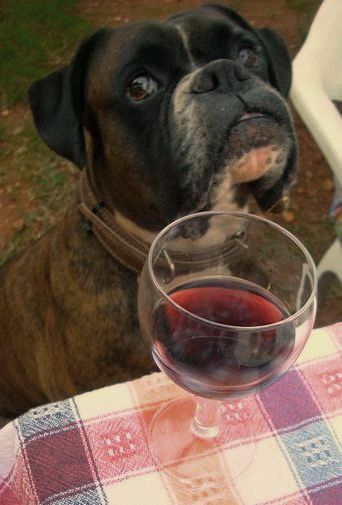 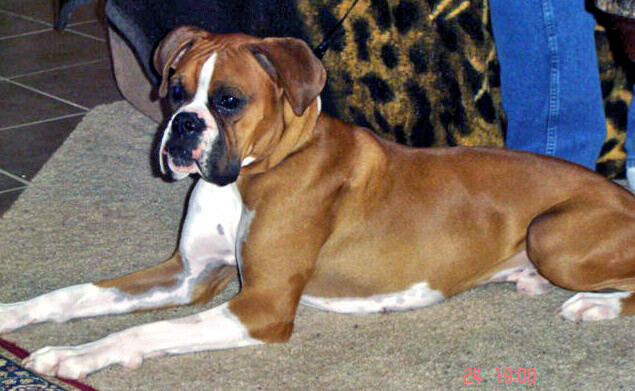 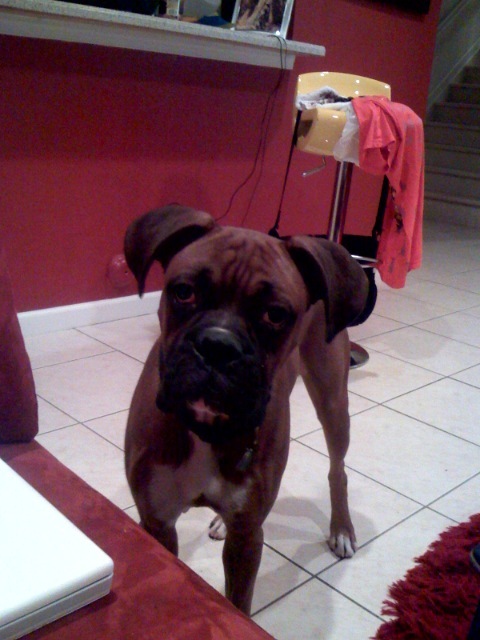 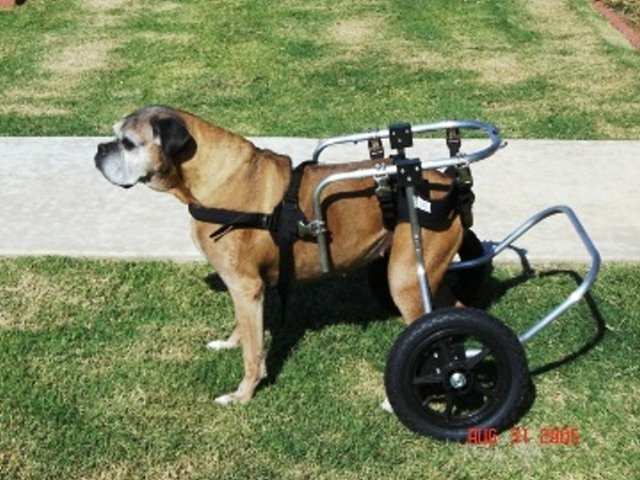 The Boxer is a muscular, medium-sized dog with strong limbs and a short back that create a square build. 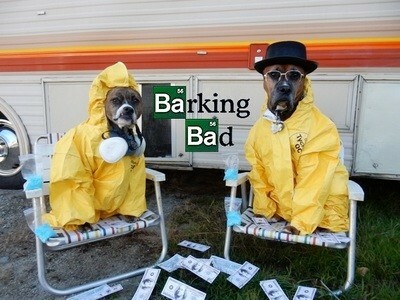 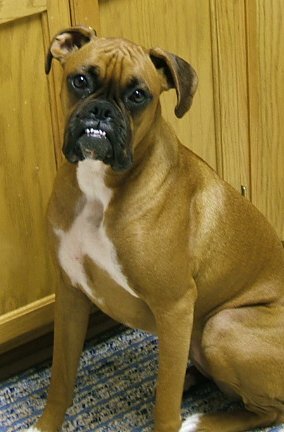 They are well known for their distinct facial coloring and broad, blunt muzzle. 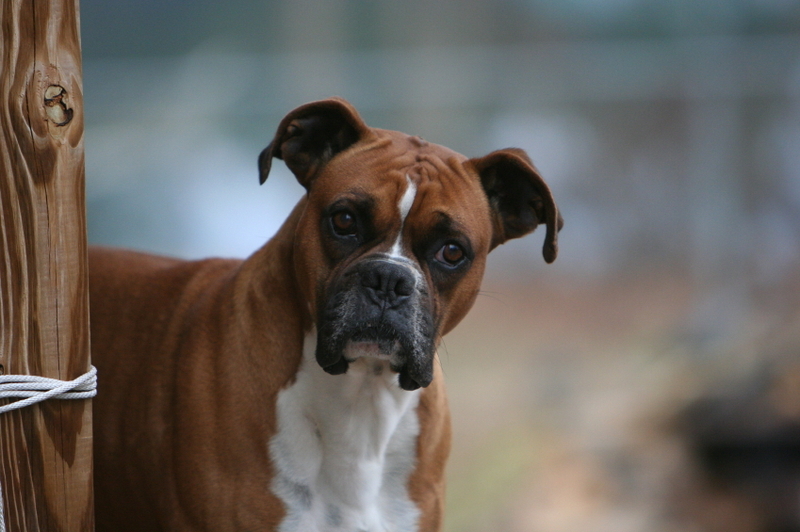 Boxers are also known for their short fur and tight-fitting coat that displays their well-developed muscles and chiseled head. 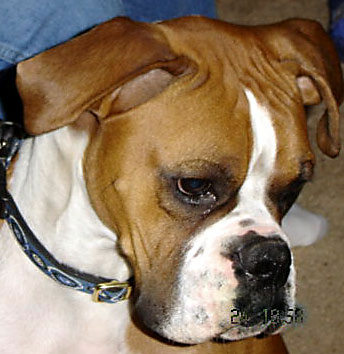 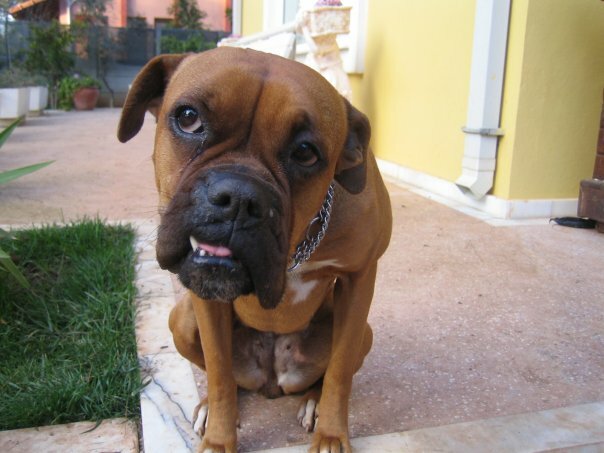 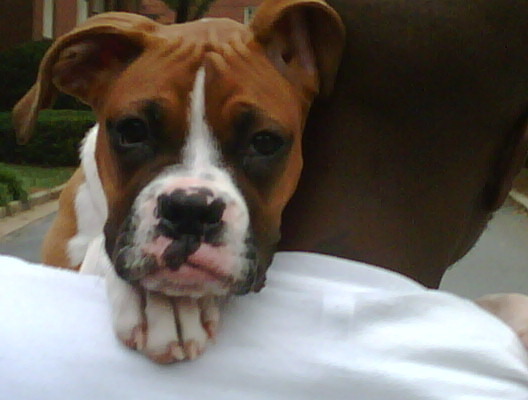 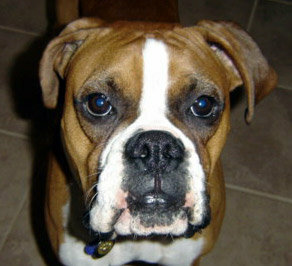 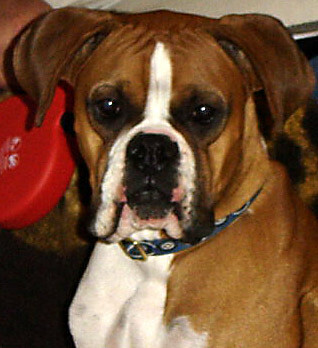 Boxers have a strong, undershot bite and wrinkles along the muzzle and forehead. 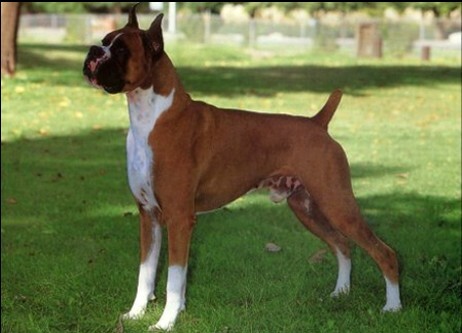 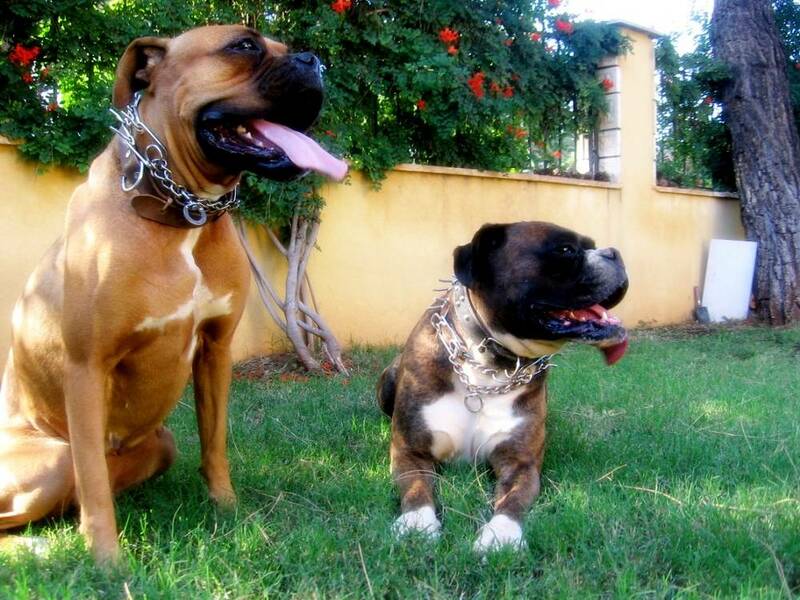 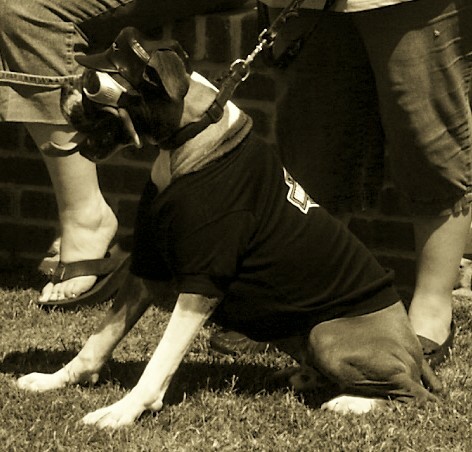 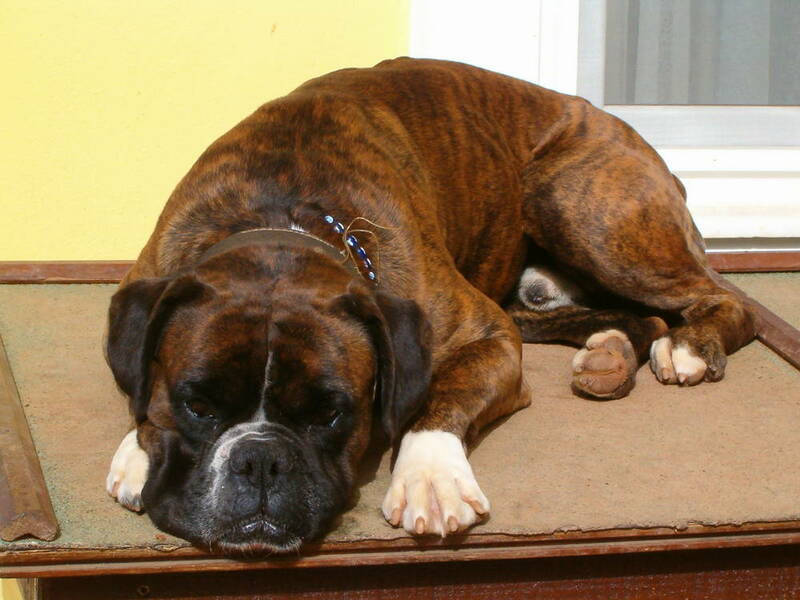 Boxers have short coats that come in two colors: brindle and fawn. 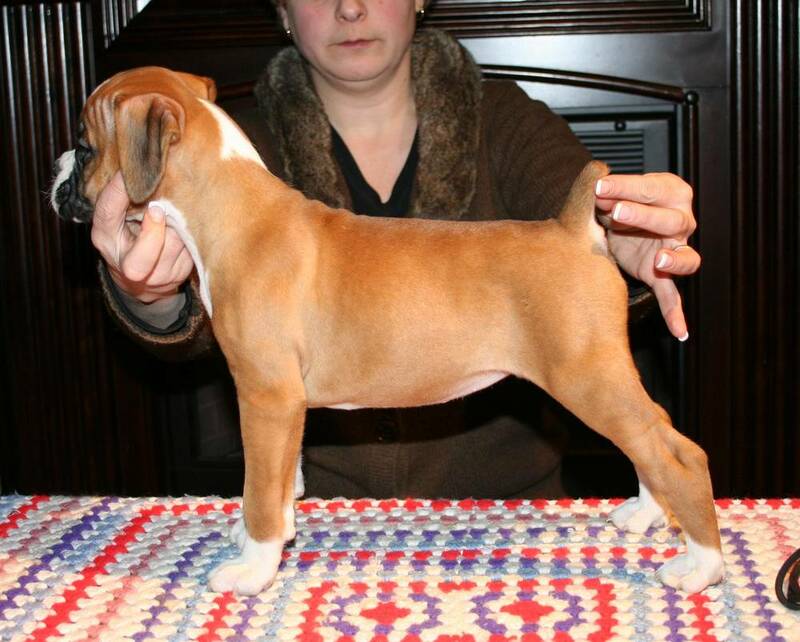 Fawn coloration appears as a solid color that can range from light tan to a deep brown. 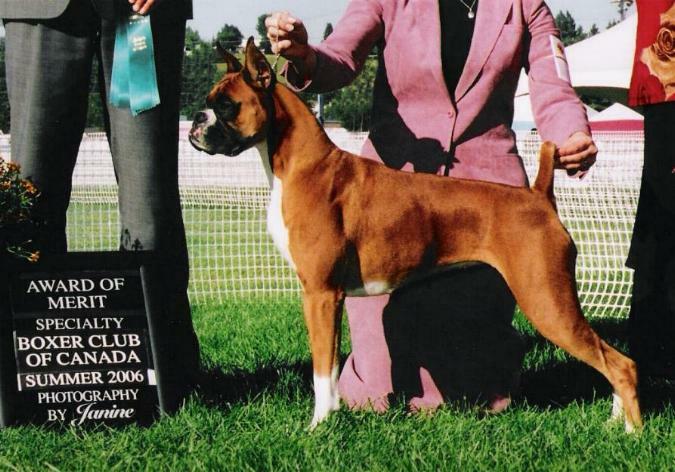 A brindle Boxer has a striped pattern against a fawn coat. 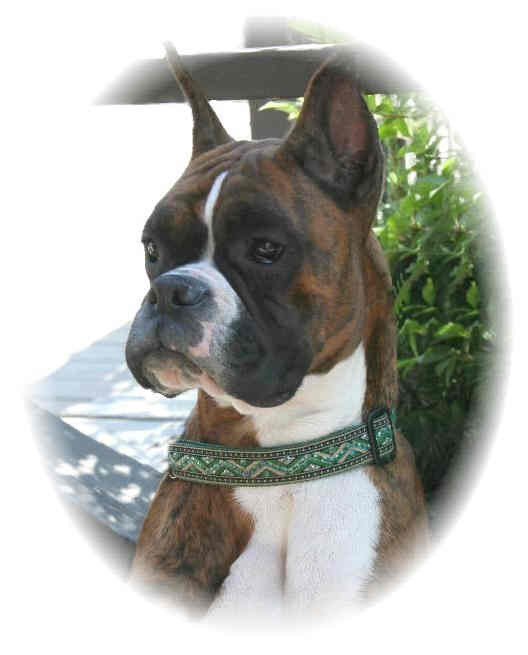 Both brindle and fawn Boxers can have white markings on their belly and feet, and all Boxers should have a black mask across their face. 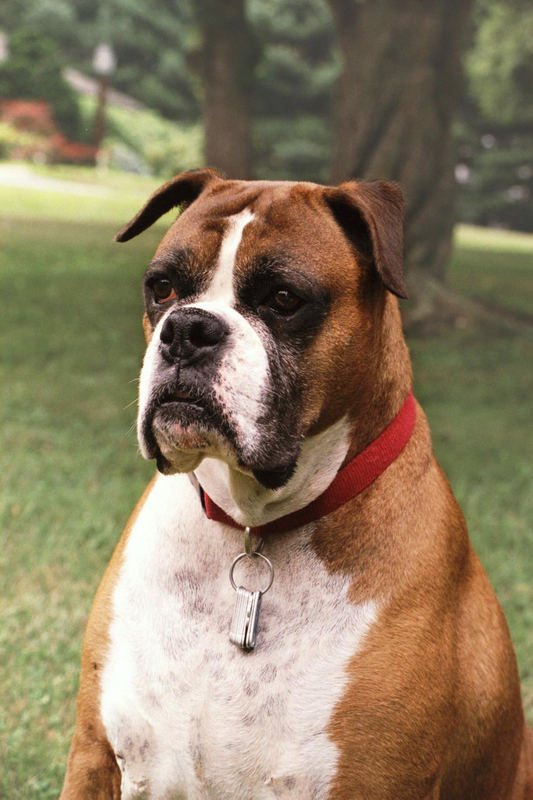 Since Boxers were developed to serve as guard dogs, they combine strength with style and carry themselves with steady confidence. 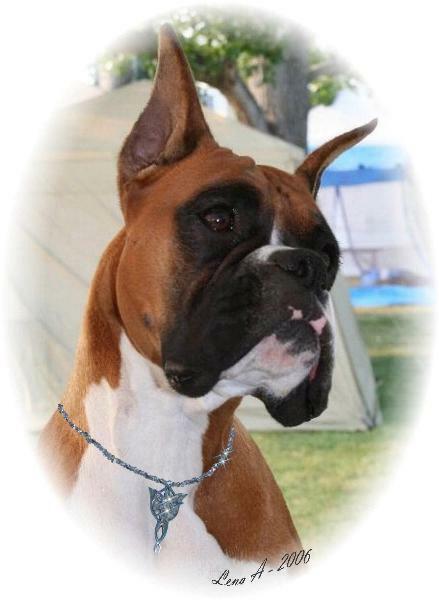 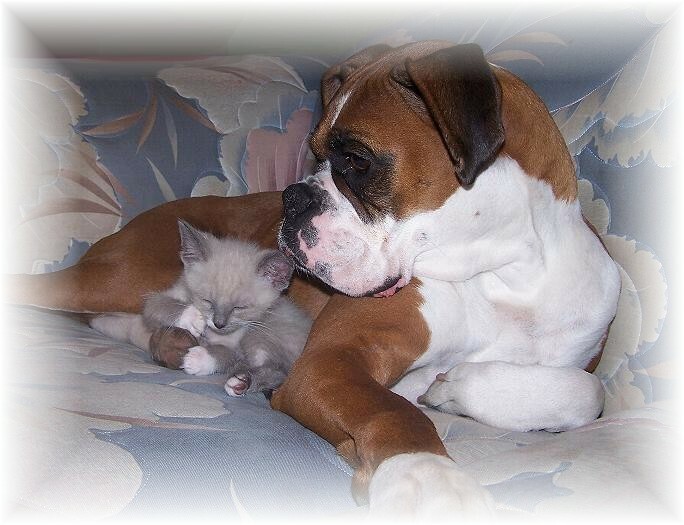 Boxers are a loving, intelligent breed and are usually patient with children, but they are also courageous, alert, and strong, making Boxers a great watchdog for families with children. 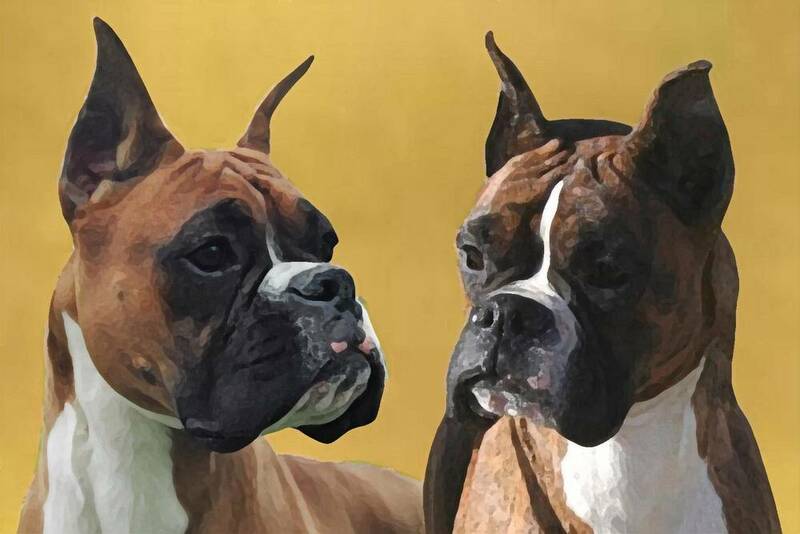 If you’re interested in adding a Boxer puppy to your family, be sure that you have the time to train and exercise with them as they require high levels of both physical exercise and mental activities. 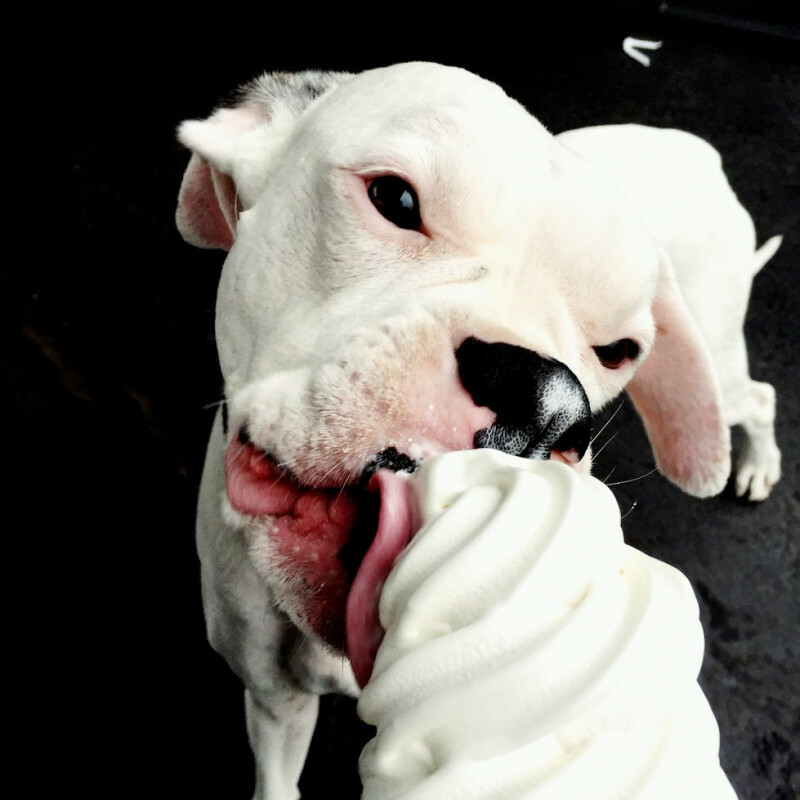 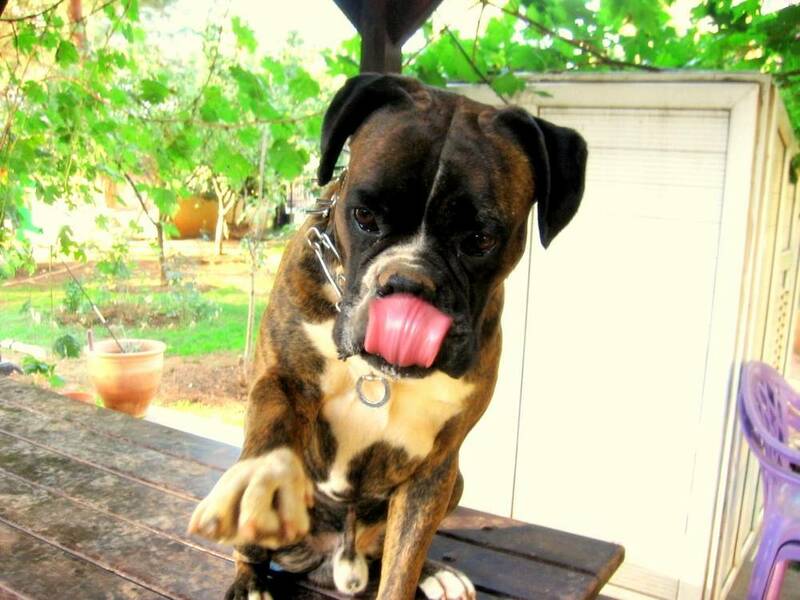 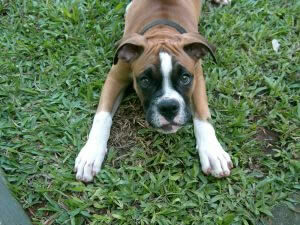 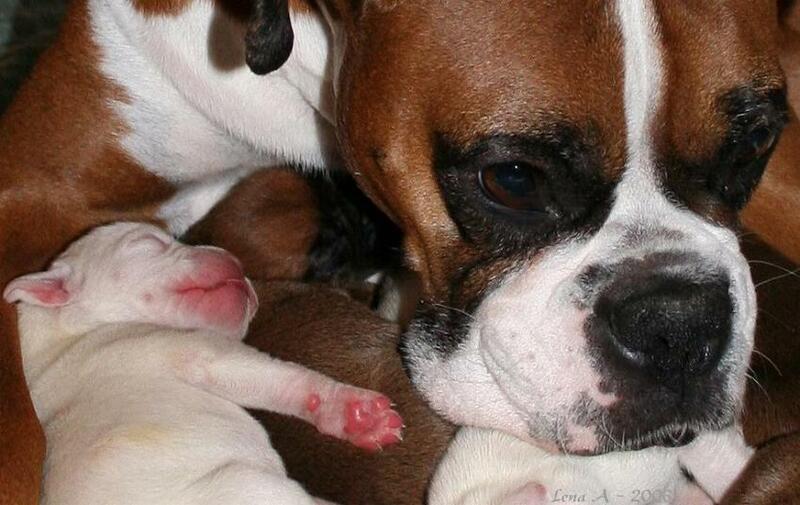 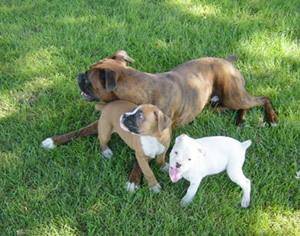 Boxers are so naturally playful that they are sometimes called the “Peter Pan” of dogs! 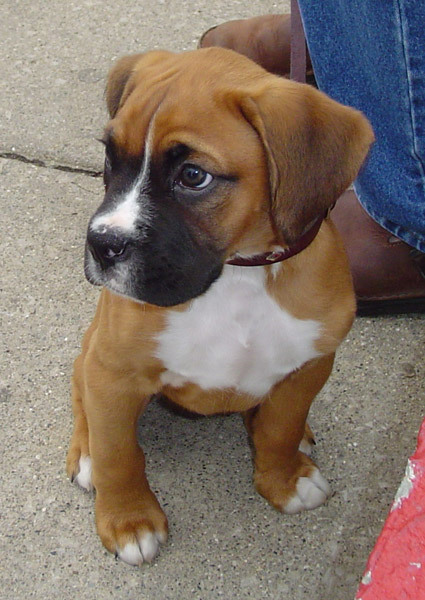 Boxer puppies aren’t considered fully mature until they are three years old, which is one one of the longest spans of puppyhood of all dogs. 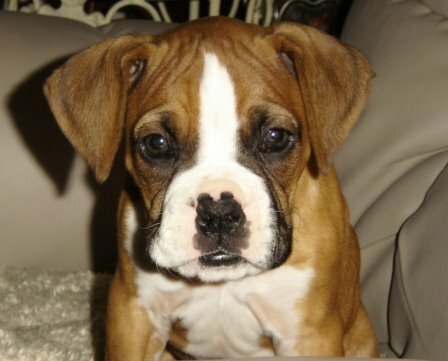 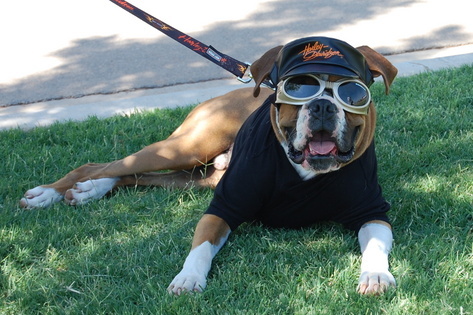 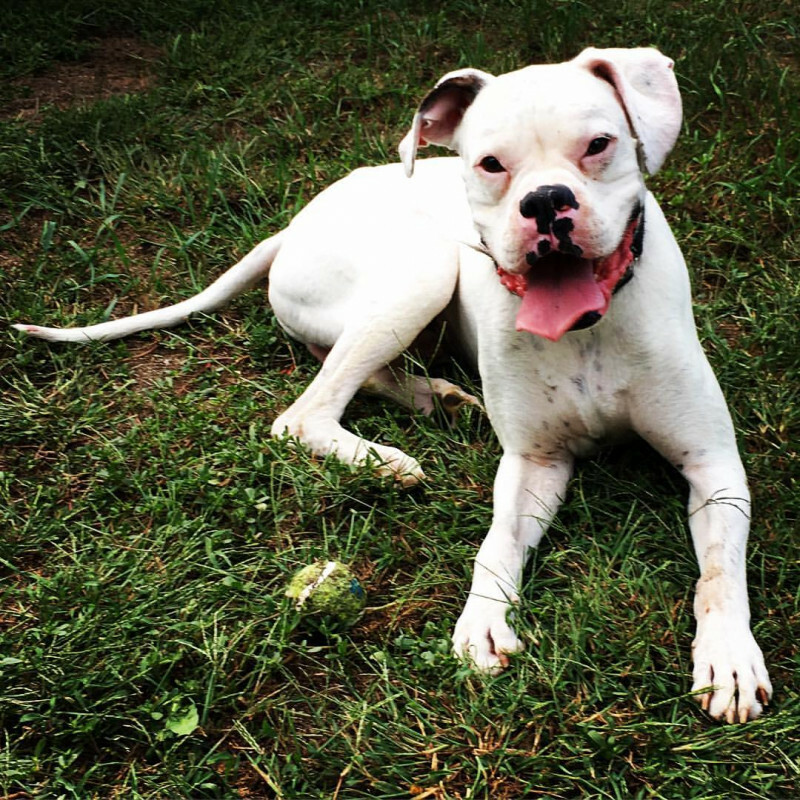 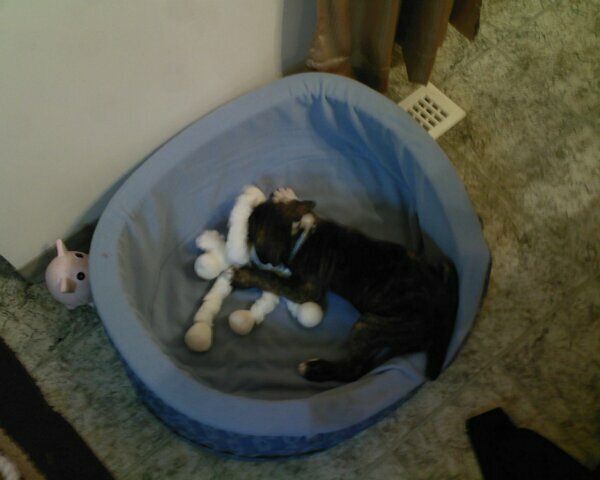 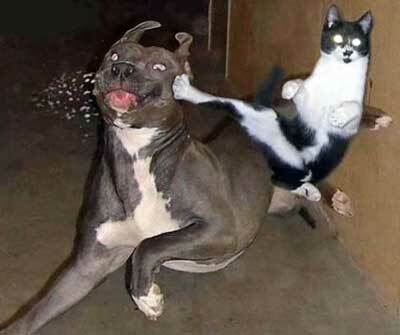 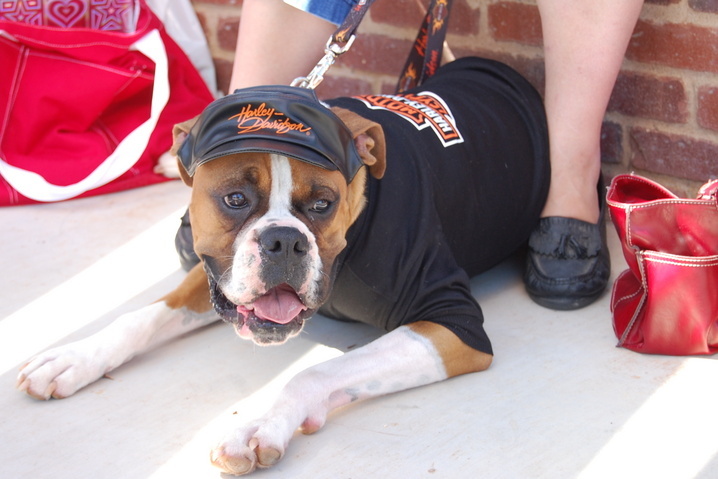 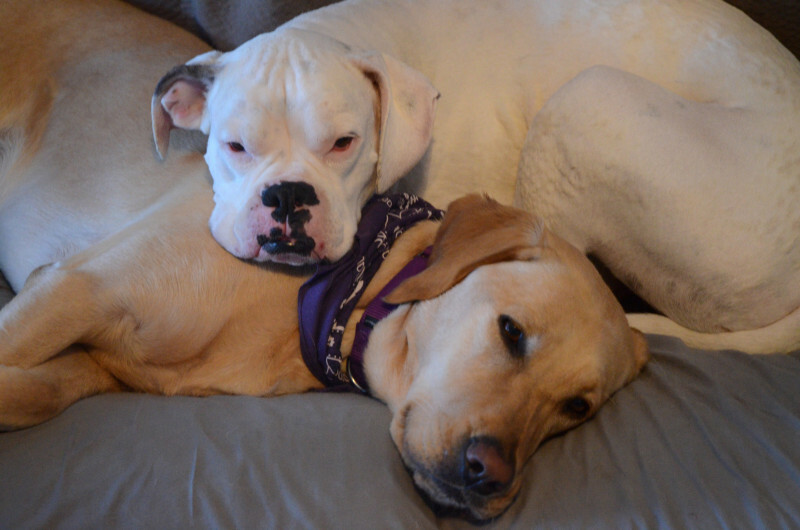 Interested in learning more about Boxers?CLICK HERE!